Category: Amusement Rides, Western. 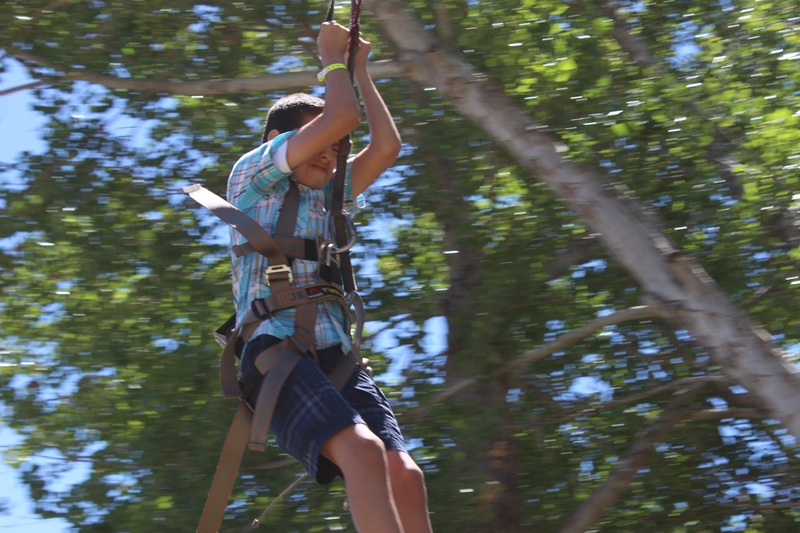 Tags: zip line. 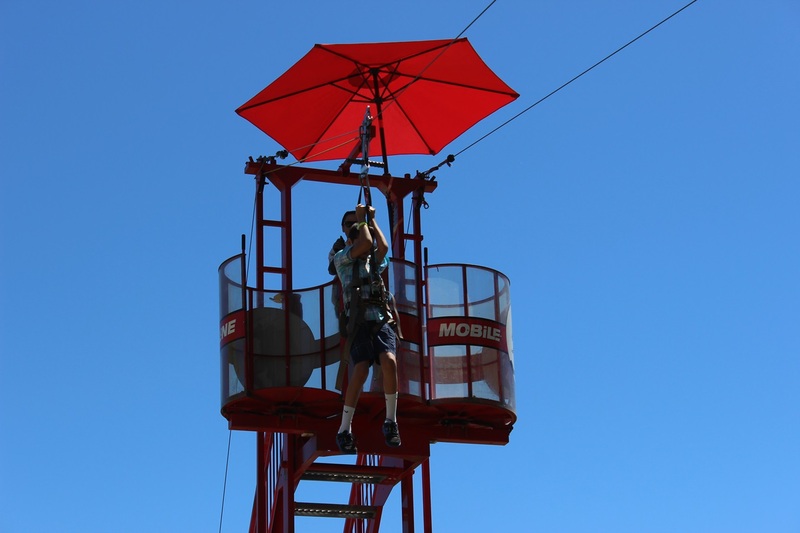 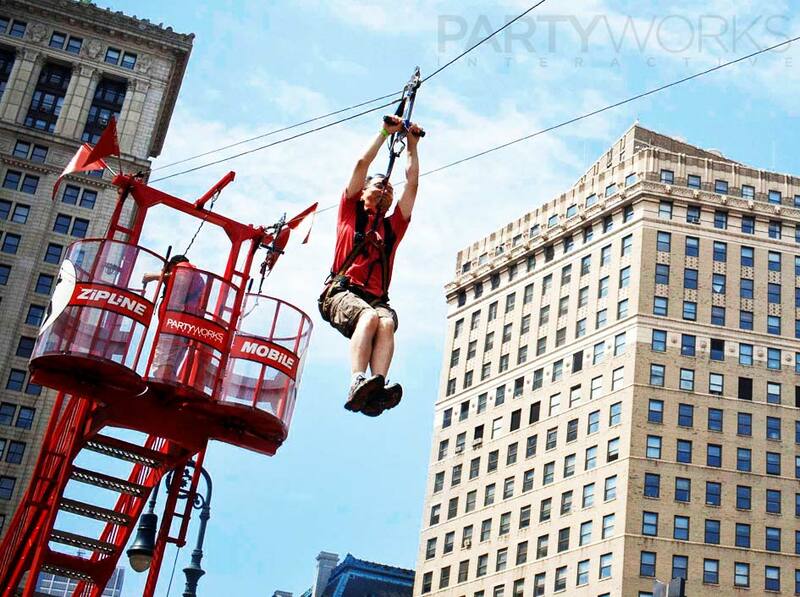 From Wild West to Mission Impossible Theme events, the Zip Line gives a sensation of free falling before the automated system engages, rapidly descending the rider safely to the landing zone. 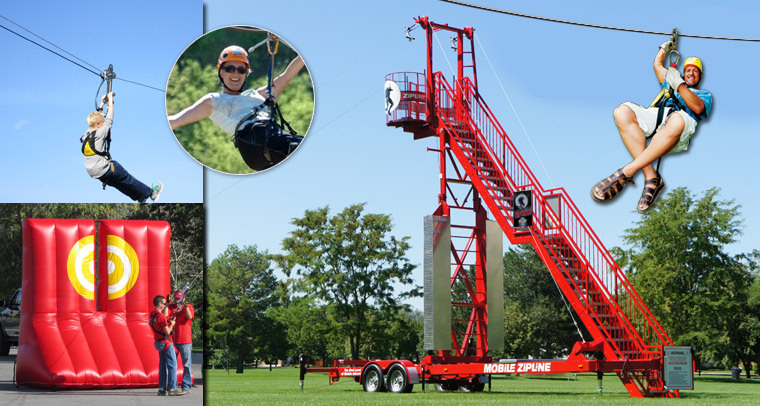 Our tower stands over 30′ tall and with a span 200′ long. 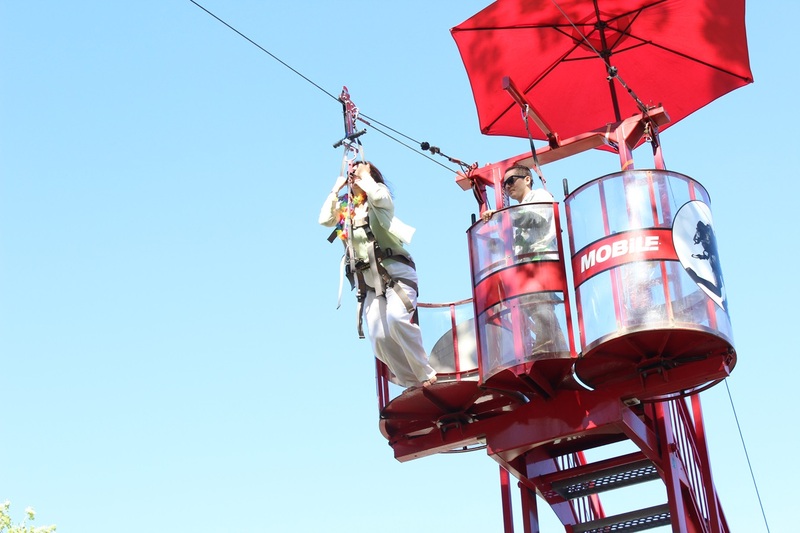 Requires a 10′ wide area for a double zip.